Ceramic/Sintered Iron System, 200-400% over stock holding capacity (RACE ONLY)! The FX500 System uses the Power Plus II Pressure Plate with the Sintered Iron disc or Rigid three or four puck disc. It is designed for maximum holding capacity with no compromises. Using a Sintered Iron friction material, the FX500 holds all the power and rapidly dissipates unwanted heat. Warning: The FX500 is a Solid Hub disc that engages and disengages instantly and may chatter upon starting from a stop. 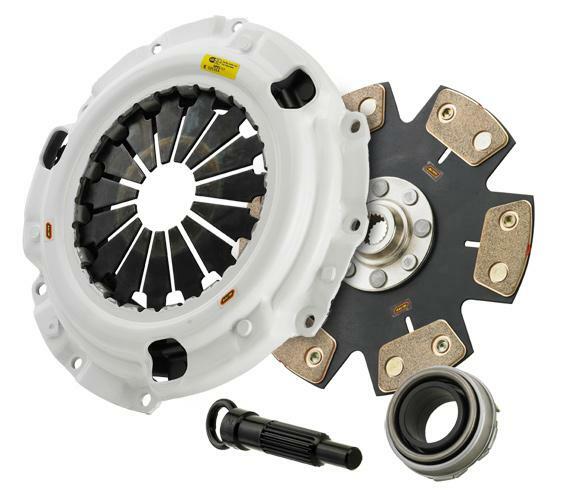 This is a Race Only clutch. This system is custom built for the specific application. Please call with your special requirements.